One of our favorite things to do during the holiday season is re-decorating the house with our favorite holiday decor. For the most part, we all have those same ornaments, same wreath, and same old stockings year after year. If you feel like your home has become stale during the holidays when it should be filled with yuletide cheer, you’re in luck! We’ve put together some of the top holiday decor trends to try this season! 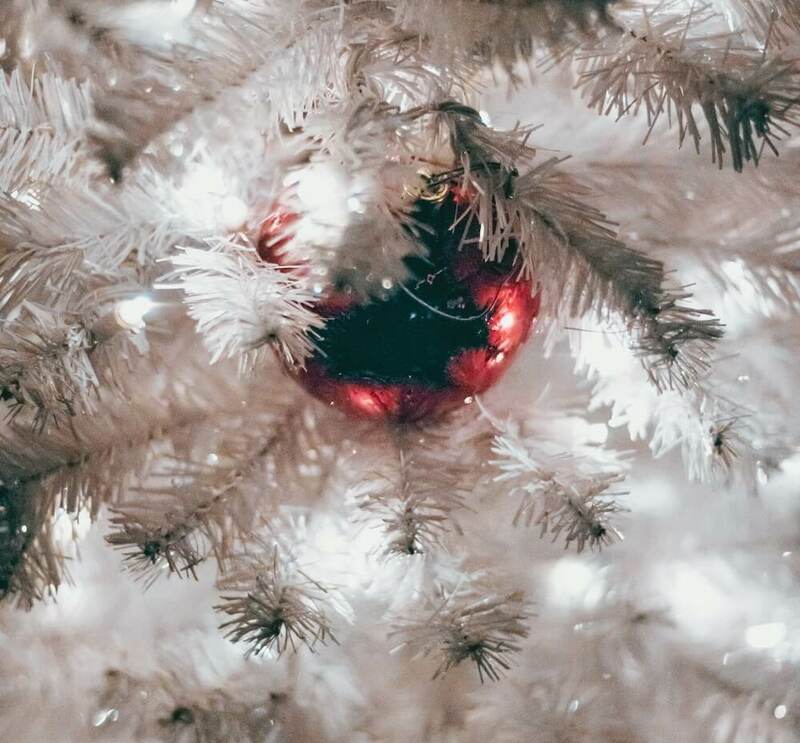 From tying it down to the roof of your car to the endless amounts of needles leaving a mess in your living room, a real Christmas tree is an unnecessary hassle. On the other hand, an artificial tree leaves no mess and has bendable branches making it easy to add ornaments and tinsel. If you’re still missing that piney scent, a few scented candles will do the trick! Feeling extra trendy this year? Don’t just get a regular green tree, buy a white one and make those ornament colors pop! Vintage has been trending for a while now and if you have old antiques laying around, this is the perfect opportunity to dust them off! “Modern Farmhouse” is a popular vintage style featuring a warm and natural ambiance. Take advantage of family heirlooms passed down to you whether it be ornaments or an old wooden sled. Burlap is another simple solution to provide a nice rustic touch to your holiday decor! An often overlooked decoration opportunity is the dining table. Sure you’ll add a candle or two and maybe a red tablecloth, but you’re not making the most of your canvas. Place those candles in silver candle holders and line your table with a garland for a natural and bright holiday centerpiece. Complete each place setting with golden flatware because after all, your Christmastime meals with the family are some of the most important of the year! Don’t be afraid to deviate from the typical red/green color scheme and try out a little silver and gold! This month you’re sure to spend many hours wrapping presents. With all the time spent beautifully wrapping those gifts, you should show them off! Continue to leave several under the tree, per tradition, but we recommend using unique wrapping paper patterns and lining a few gifts on the staircase. 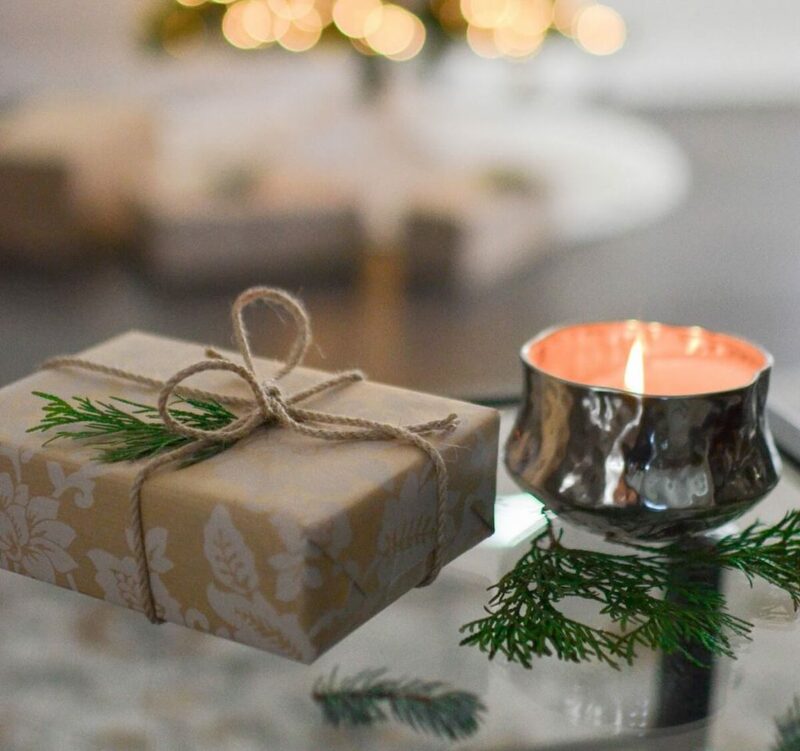 Better yet, add an arrangement of small gifts on the coffee table next to a scented candle. Everyone has those special Christmas decorations close to their heart, but we highly recommend adding a bit more flair this year before your holiday look goes stale! The most wonderful time of the year deserves the most wonderful home and adding some of these new features can help with that! What new trends will you try this year and what are your favorite classic decorations? Let us know below!